I love this party idea for a girls’ night out. A friend of mine hosted an Oscar party for just the girls a few years ago and it was a winner! Because the Academy Awards are always held on a Sunday evening (technically a school night), I like a more casual approach and wouldn’t require guests to be red carpet ready in terms of attire. But if your crew loves to be dressed to the nines, by all means, go for it! 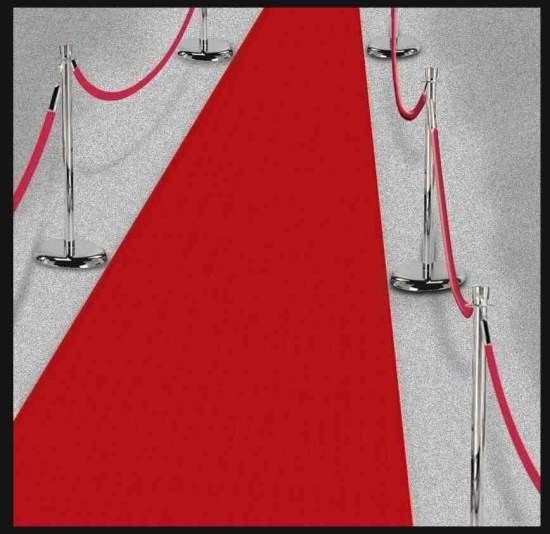 A red carpet to greet your guests is still a must whether you’re going casual or formal. Party City has 15ft and 40ft options here. Once your guests arrive, have each of them fill out their own Oscar ballot. Click here for the printable version of the one below. You can’t celebrate the movies without popcorn! Offer several different flavors like cheese, caramel and cinnamon and set it up buffet style like the one below. You can actually download this printable party kit here. My favorite item is the popcorn cones with bow ties! 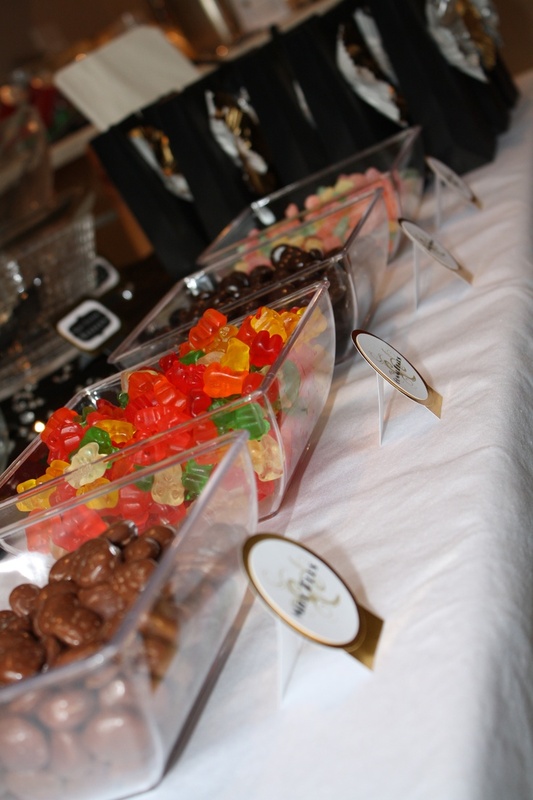 A candy buffet is a brilliant idea for an Oscar theme because it requires no time in the kitchen. The presentation possibilities are endless but I like the simple one below for this adult party. Don’t forget the Junior Mints! Keep the beverage choices simple with a signature drink. 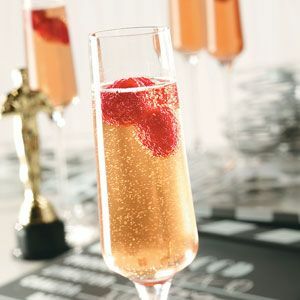 It wouldn’t be the Oscars without champagne and when I found this recipe called ‘Red Carpet-tini’, I knew I’d found the one. 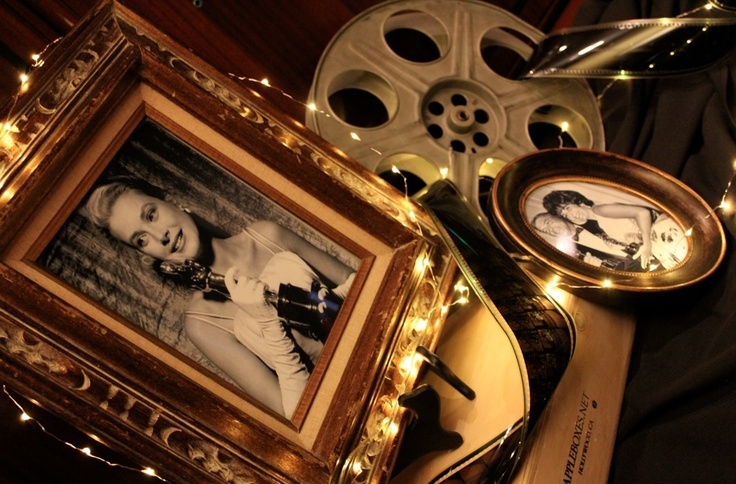 If you have any movie memorabilia around the house like film reels or prints, add it to your party decor. At the end of the evening, tally up who had the most accurate predictions from their Oscar ballot and award that person the grand prize. 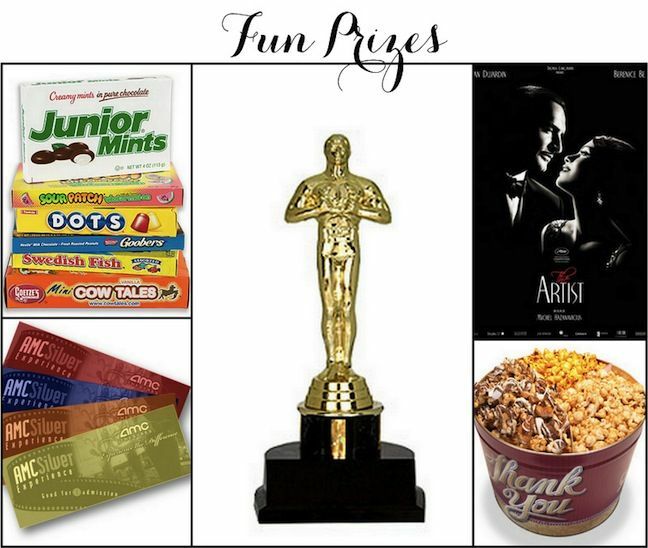 You can include movie passes, theater candy or a DVD of last year’s Best Picture winner. You can also put together “swag” bags of goodies for the rest of your party guests. Make the one below by following the DIY steps here. If you want to make your own popcorn, I found some unique recipes here. 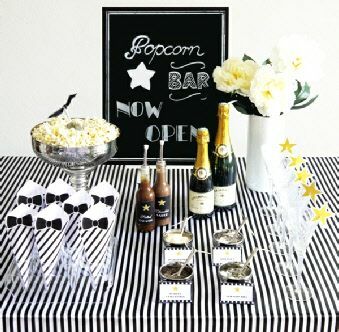 To give your party a different twist, check out this Oscar PJS & Pearls theme – love! Bingo is always a fun game to keep people engaged in the show. Print these 2014 Oscar Bingo cards and you’re good to go. 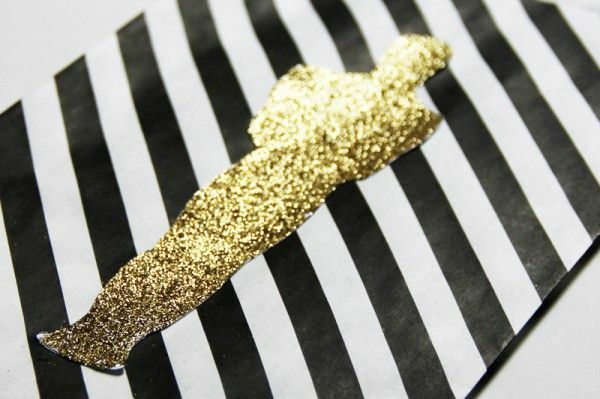 Be sure to visit my Oscar Pinterest board for more inspiration.